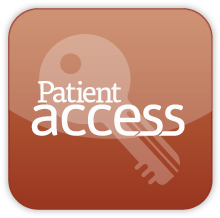 We are pleased to be able to offer our Tenbury Surgery patients an online appointment booking and repeat medication requesting facility. Registration for this service must be done in person at the surgery so that we can confirm your identity, address and issue you with your unique login and password. You will be given guidance and instructions on how to use the system. Address ID - a recent utility bill (eg gas, electricity, telephone), council tax bill, bank statement etc. If you have any queries, please don't hesitate to talk to one of our receptionists who will be happy to help you. NOTE: There are restrictions to the type of appointment you are able to book online. Only 10 minute appointments to see a Doctor may be booked online. These should be for suspected illness, follow up consultations or medication reviews only. Note: All other types of appointment (e.g. Private insurance/medical work, Ante-natal & Post-natal checks, all appointments to see the Practice Nurses/Healthcare Assistant, diabetes reviews or for procedures such as coil fittings and checks) must be booked either over the telephone or at reception.